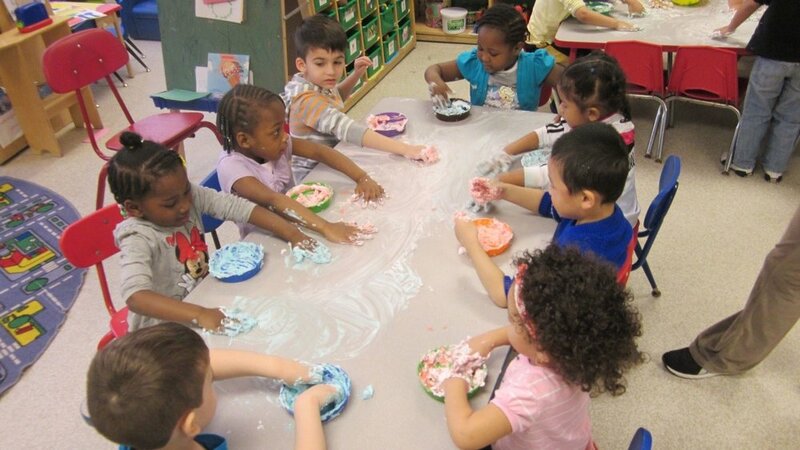 The children loved this sensory experience of sinking their fingers in soft shaving cream. It’s a great science activity. The activity can also be used to create works of art. We even had them write their first initial and some numbers on the table. Simply spray the shaving cream onto the plate or onto the table top and watch the children explore and begin to have a ball. Next we added drops of food coloring to the shaving cream. We even counted the drops and talked lots about the colors we were using. You could even use the book Mouse Paint by Ellen Stohl Walsh to discuss mixing colors.